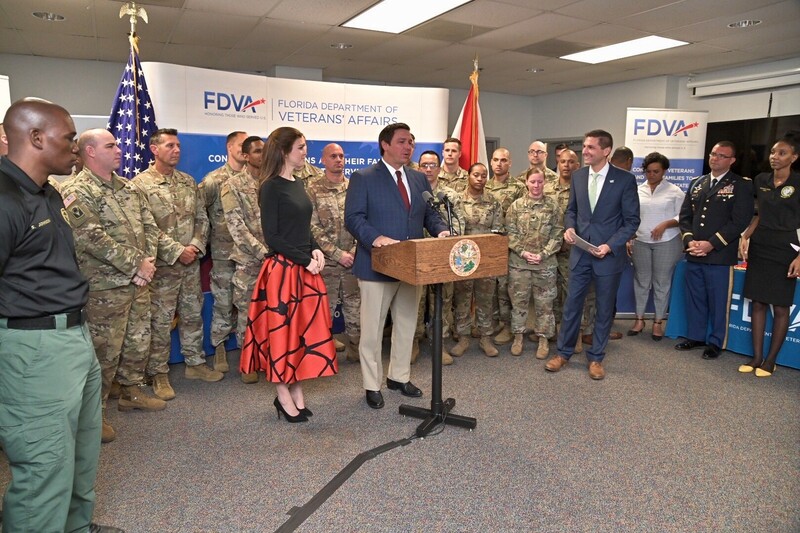 Largo, Fla. – This morning, Governor Ron DeSantis and First Lady Casey DeSantis visited the Florida Department of Veterans Affairs (FDVA) in Pinellas County. 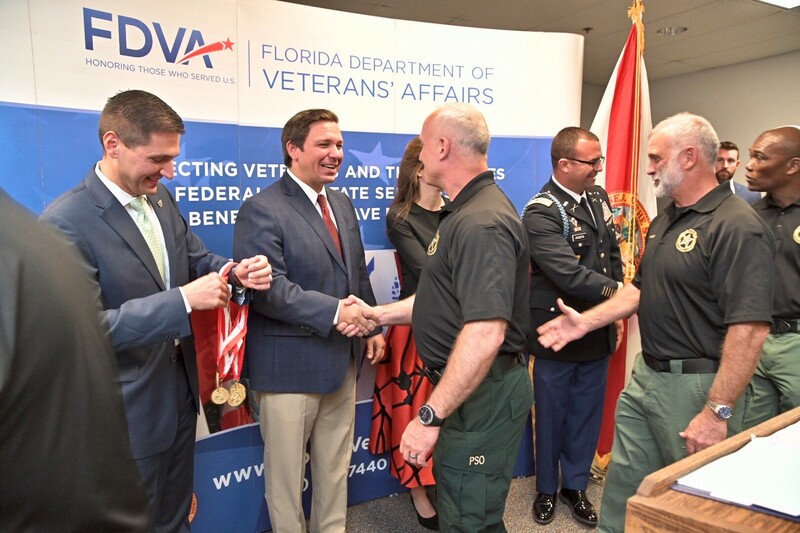 The Governor and First Lady met with FDVA Director Danny Burgess as well as local military veterans to discuss needs and actions being taken to assist these individuals and their families. 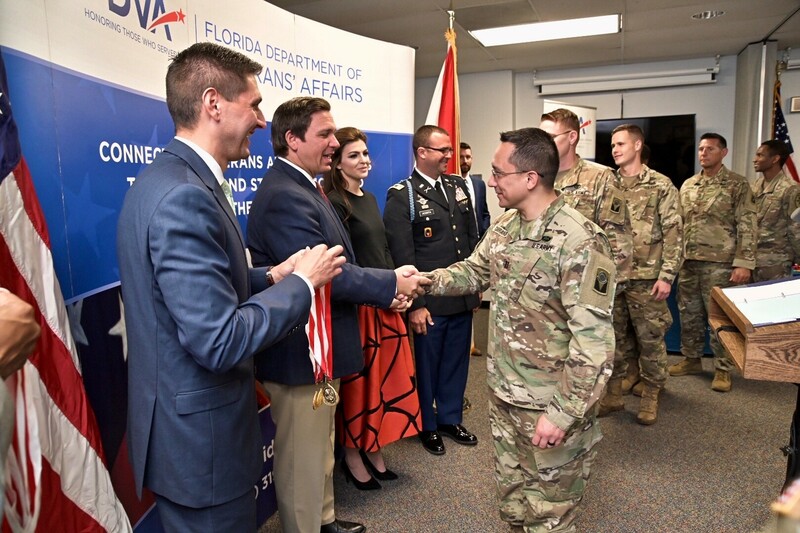 The Governor was also pleased to award the Governor’s Veterans Service Medal to several Florida veterans in attendance.